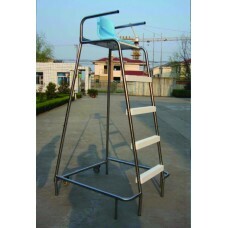 The life guard chair is made from aluminium. The base is specially designed for stability and safety. Furthermore, rubber inserts protects the pool deck from scratches. For an easy handling, large wheels are provided.